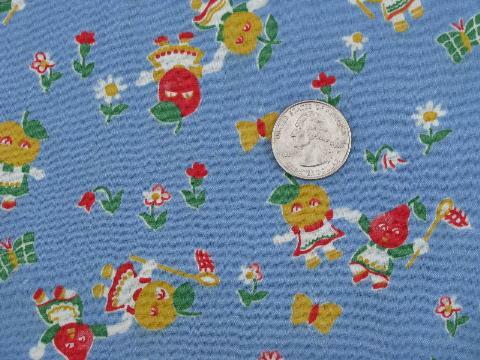 Cute vintage "fruit people" print cotton fabric! This is 36" wide x 1 yard. in excellent condition.